1. Attractions Benefits of the card: The Lille City Pass offers discounts and free entries on a number of famous museums, monuments and other tourist attractions across the city. The pass also includes free traveling as well as discounts at shops and restaurants. 2. Attractions valid: 25 different museums and attractions across Lille can be visited entirely free of cost through the Pass; this includes Lille Palais des Beaux-Arts, la Piscine Museum of Art & Industry, Hospice Comtesse, Museum of modern, contemporary and outsider art, General de Gaulle’s birthplace, the City Tour and a lot more. 3. Transportation Benefits: The Lille City Pass is the most reliable of all travel cards available to tourists. It offers free public transportation across the city, and entrance to more than 25 tourist attractions and museums entirely free of cost. Free use of the TER trains can also be availed for the next 24 hours. 5. Price and validity: Tourists can purchase passes for 24, 48 and 72 hours as per their requirements; these are priced at 25, 35 and 45 Euros respectively. 6. Benefits of purchasing online: By purchasing the City Pass online, tourists can save up both time and money before landing in Lille. It is the most reliable solution for all dining, traveling and sightseeing needs. 1. Benefits of the card: The famous City Tour offers tourists a chance to visit and see some of the most famous attractions Lille has to offer in a brand new, fully equipped convertible coach. Attractions include famous monuments, landmarks, museums, and much more. The coach offers comfortable, luxurious traveling with high quality video and audio systems. 2. Attractions valid: The 50 minute tour allows tourists to see some of the most fascinating attractions in Lille in the same day. 3. Price and validity: The City Tour costs 12 Euros normally, but is available for free with the Lille City Pass. The tour is conducted on daily basis, every hour starting from 10 am to 5 pm. 4. Benefits of purchasing online: When the City Pass is purchased online, you can get the City Tour free as part of the package. Online purchases save a considerable amount of time that can be utilized in sightseeing. 1. Benefits of the card: The Fork is one of the most reliable online restaurant booking and discounts website for Europe, and ideal for tourists traveling to Lille for the first time. The website offers excellent discounts on famous restaurants across the city allowing tourists to save significantly on every meal. 2. Restaurants valid: The website offers discount coupons for up to 30% savings on dining at restaurants such as La Bastide 48 Brasserie, Ultimo Bacio, Aux Indes, La Terrasse du Parc, La Creperie de Lille and Al Theatro, to name a few. 3. Price and validity: The price and voucher validity varies with different restaurants. 4. Benefits of purchasing online: Coupons can be purchased online and are delivered to your doorstop most efficiently. The website allows you to browse through the many restaurants across Lille and their specialty cuisines helping you select the restaurant you wish to visit before you even land in the city. 1. 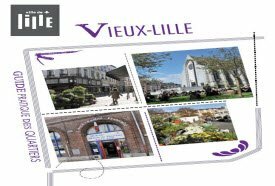 Benefits of the card:It is a chance for tourists to see the best that Lille has to offer in terms of architecture and famous attractions. The tour guides tourists through the history of various places and other details about them. 2. Attractions valid: Some of the attractions that can be seen on the tour include the Chamber of Commerce, the PalaisRihour, the Notre-dame de la Treille Cathedral, the Main Square and the Hospice Comtesse. 3. Price and validity: The tour takes place every Saturday and costs 11.50 Euros. The duration of the tour is 2 hours. 4. Benefits of purchasing online: Spots can be booked online to save seats and avoid last minute hassles. 1. Benefits of the card: The Pass Journee Lille allows for free traveling on the public transport of Lille conveniently for a day, as required by the tourist. The Pass is available at different ticket vending machines across the city and is simple, effective traveling solution for tourists and locals alike. 2. Transportation valid: The pass can be used to travel on all public transport of Lille as many times as desired; this includes metros, buses and trams. 4. Benefits of purchasing online: Tourists and locals can acquire the pass from a number of metro and tramway vending machines, as well as 260 point service stations in Lille. The process is fast and easy. 1. Benefits of the card: The Lille city pass is the one stop solution for affordable dining as well as sightseeing for tourists visiting the city. It offers excellent discounts at a number of popular eateries, restaurants and shops around Lille, along with free public transportation. 2. Restaurants valid: Tourists can avail 10% discount at the Meert Restaurant, Paradoxe Restaurant, Guillaume Vincent Chocolatier and many others. Card holders are entitled to different discounts as well as free aperitif at partner restaurants, a complete list of which can be obtained at Lille’s Tourism Office. 3. Price and validity: The City pass can be purchased for 24, 48 and 72 hours costing 25, 35 and 45 Euros respectively. All traveling, sightseeing and dining benefits are valid during the course of duration of each. 4. Benefits of purchasing online: By purchasing the Lille City Pass online, tourists can save a considerable amount of time and energy. The pass can be conveniently booked online without having to stand and wait in lines. 1. 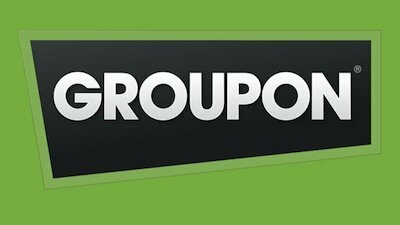 Benefits of the card: The Groupon website frequently offers excellent discount vouchers on dining at a number of renowned restaurants across Lille. These coupons and vouchers allow you to save up to 50% on dining. 2. Restaurants valid: A number of different restaurants are featured on the website regularly. Restaurants such as the Douss’Kreoline, La Table Marocaine and Bakery of Eden are currently being featured on the site with impressive discounts. Customers can also purchase wines at Le Repaire Bacchus at half price with Groupon Vouchers. 3. Price and validity: The voucher price and validity varies with different restaurants. 4. Benefits of purchasing online: All coupons are delivered to your doorstop promptly as soon as the purchase has been confirmed. These can then be used conveniently at the restaurants to avail deals and discounts. 1. 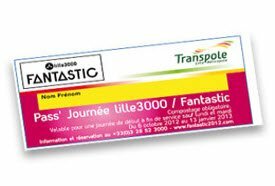 Benefits of the card: The trampoline 1 day pass is ideal for travelers who visit Lille occasionally by train. It is best for families traveling together and offers an affordable, reliable solution that is available conveniently. 2. Transportation valid: Belgian rail traveling to Lille, 2nd class. 3. Price and validity period: The pass is valid for 24 hours and can be used for unlimited traveling in the course of that duration. The ticket costs 4 Euros for children and 8 Euros for adults. 4. 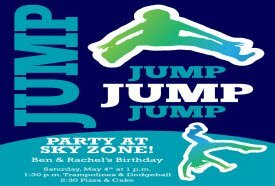 Benefits of purchasing online: The Trampoline ticket is available at all train stations in the city easily.